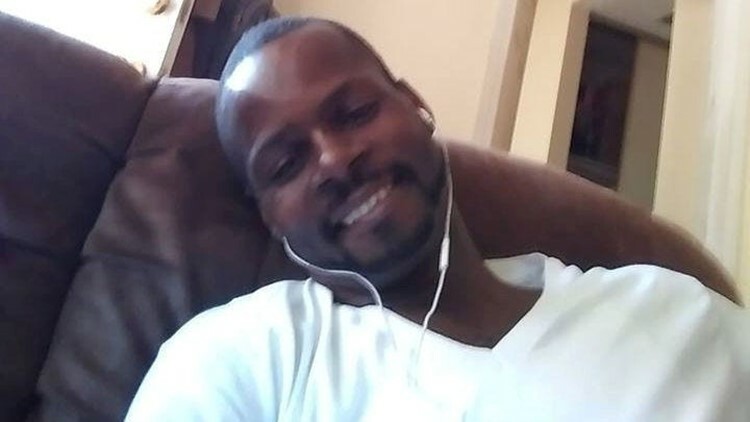 SAN DIEGO, Calif. (NEWS 8) -- The deployment of paramedics to San Diego Central Jail on a Saturday morning went from routine to critical in a matter of minutes, according to San Diego Fire-Rescue Department dispatch records related to the death of Earl McNeil. National City Police dispatchers called San Diego Fire-Rescue to request an ambulance shortly after officers arrived at the downtown jail. At the time of the dispatch, McNeil already had been in the custody of National City Police for two hours. The 40-year-old arrived at the San Diego jail restrained in a body WRAP device because National City officers claimed he has been combative and was suspected of being under the influence of drugs. “Would you guys be able to start an ambulance to County jail?” an unidentified National City Police dispatcher requested at 7:28 a.m.
“One of our prisoners got rejected,” she said in the recorded dispatch call. “He got rejected? What do you mean by that?” the San Diego Fire-Rescue dispatcher asked. After a long pause, the National City dispatcher responded. “So, I guess I don’t know why he got rejected. But they just said that they wanted to transport, so I called you,” she said. Paramedics arrived at the jail at 7:30 a.m. under a medical aid protocol for a “sick person” of unknown status, according to a detailed dispatch log obtained by News 8 under the California Public Records Act. McNeil was described in the dispatch log as conscious and breathing upon ambulance arrival. By 7:54 a.m., McNeil had stopped breathing and was given an “Acute/Medical Trauma” status. The ambulance rolled out of the jail under an acute trauma Code 10 – with lights and sirens – to UCSD Medical Center in Hillcrest, arriving at 8:08 p.m., according to the fire department records. The log indicates McNeil was under a “Hospital Delay” as paramedics arrived and continued working to resuscitate him. McNeil was placed on life support at the hospital for several days and died on June 11. The San Diego County Medical Examiner has not released McNeil’s autopsy, though preliminary findings point to an unexplained heart attack. Family members and community activists want National City Police to release officer body-camera video footage of the incident. Surveillance video from the San Diego jail also has not been made public. The case is under investigation by the San Diego County District Attorney’s office. Note: this article has been updated from its original version.